FacChats are informal discussion groups where faculty and instructors meet, have some coffee/tea, and chat about a particular topic related to teaching and/or learning. Why participate in CETL FacChats? Join us for our next FacChat! 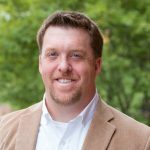 A Chat with Dr. Josh Eyler about his book How Humans Learn: The Science and Stories Behind Effective College Teaching and implications for teaching in higher education. Josh Eyler has been the director of the Center for Teaching Excellence and adjunct associate professor of humanities at Rice University since 2013. His book How Humans Learn: The Science and Stories behind Effective College Teaching was published by West Virginia University Press in 2018, and his eclectic research interests include the biological basis of learning, evidence-based pedagogy, and disability studies. Please register and join us for a chat with Dr. Josh Eyler! Dr. Dave Kung, Professor of Mathematics at St. Mary’s College of Maryland and Director for Project NExT, a professional development program for new instructors in mathematical sciences will lead our November FacChat. Dr. Kung has presented at conferences and universities around the world about innovative teaching strategies and social justice. The University of Mississippi is his 11th stop this year. 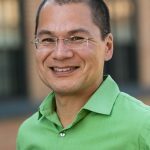 Join us for a chat and explore some of Dr. Kung’s techniques to engage all students in his classes and to promote student success in all fields, especially those related to STEM. Please register and join us for a chat with Dr. David Kung! Dr. Robert Cummings, Executive Director of Academic Innovation, is leading a chat related to the OER Faculty Development Luncheon. If you are unable to attend the luncheon or you would like to explore OER further, please attend. Dr. Cummings will be available to answer questions regarding the use of OER in your classes and the grant opportunities available. Please register and join us for more conversation about OER! CETL’s March FacChat is devoted to mentoring graduate students. Dr. Alan Gross (Psychology), Dr. Kelly Wilson (Psychology), and Dr. John Rimoldi (Medicinal Chemistry), all winners of UM’s Excellence in Graduate Teaching and Mentoring Award, will lead a discussion about promoting autonomy in graduate students. How can mentors, advisors, and faculty help graduate students move from initial stages of depending on others for information, ideas, etc. to thinking and problem-solving for themselves? If you work with graduate students now or if you anticipate working with graduate students in the future, you should take this opportunity to share your experiences and learn from those of your colleagues. Please join us for coffee, tea, and a lively, informative chat on Monday, March 5, in Lyceum 200. Please click here for registration! 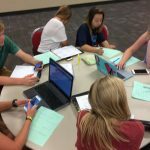 In an environment where many students communicate by posting and reading comments through social media, it can be difficult to engage students in truly thoughtful discussions in the classroom, especially if the topic is considered controversial. Dr. Graham Bodie (UM) will lead this FacChat about facilitating good communication among our students. He will elaborate on his FDL presentation “The Role of Listening in Civil Discourse” and discuss applications of the Listening First Model in UM classrooms. Please come talk with Dr. Bodie and join us for good discussion. Please click here for registration! Dr. Chris Penny, of West Chester University of Pennsylvania, elaborates on his FDL presentation addressing the way mobile technology has changed teaching and learning in today’s classrooms. Please come meet Dr. Penny and join us for good discussion. Please click here for registration! As faculty increasingly integrate active learning strategies into their classes, they may be met with resistance from students who do not understand the purpose of the activities or who are more comfortable with passive learning. In this FacChat, we are going to brainstorm ideas for creating a process to introduce students to new teaching methods in a way that maximizes student engagement, effective collaboration, and critical thinking. Come join us to discuss planning flipped assignments to maximize “The Good” for you and your students. Do you have suggestions for FacChats? Please see FacChat Archives for previous events.